Lansing is the capital of the US state of Michigan. Kick off your visit on the 10th (Fri): don't miss a visit to Lansing's First Capital Building, then trek along Pere Marquette Rail Trail, and then admire all the interesting features of Michigan State University. For more things to do, traveler tips, photos, and other tourist information, use the Lansing vacation builder site . Flint to Lansing is an approximately 1-hour car ride. In May in Lansing, expect temperatures between 70°F during the day and 48°F at night. Wrap up your sightseeing on the 10th (Fri) early enough to travel to Miami Beach. Get out of town with these interesting Miami Beach side-trips: Fairchild Tropical Botanic Garden (in Coral Gables), Shark Valley (in Everglades National Park) and Dolphin Mall (in Miami). 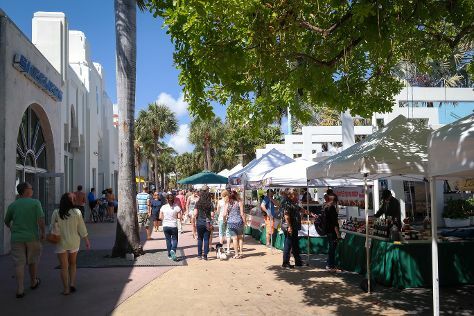 Next up on the itinerary: wander the streets of Lincoln Road, appreciate the extensive heritage of Art Deco Historic District, kick back and relax at South Beach, and browse the different shops at Bayside Marketplace. For ratings, maps, and more tourist information, go to the Miami Beach online vacation maker . Getting from Lansing to Miami Beach by combination of bus and flight takes about 8 hours. Other options: fly; or drive. When traveling from Lansing in May, plan for somewhat warmer days and much hotter nights in Miami Beach: temperatures range from 87°F by day to 74°F at night. On the 14th (Tue), wrap the sightseeing up by early afternoon so you can travel back home.